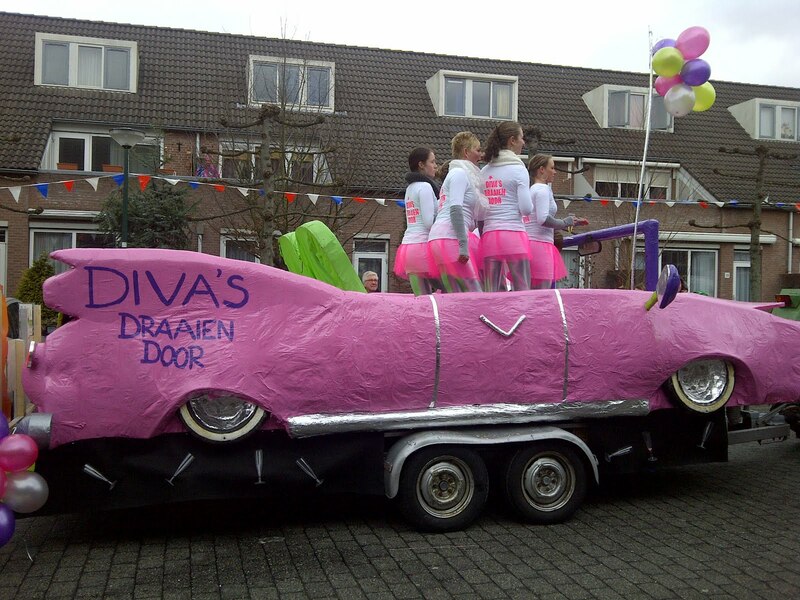 Did you know, that carnival is celebrated also in the Netherlands? 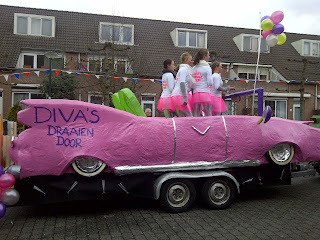 Before living here, I thought carnival is mainly celebrated in Rio and Venice. How wrong was I! 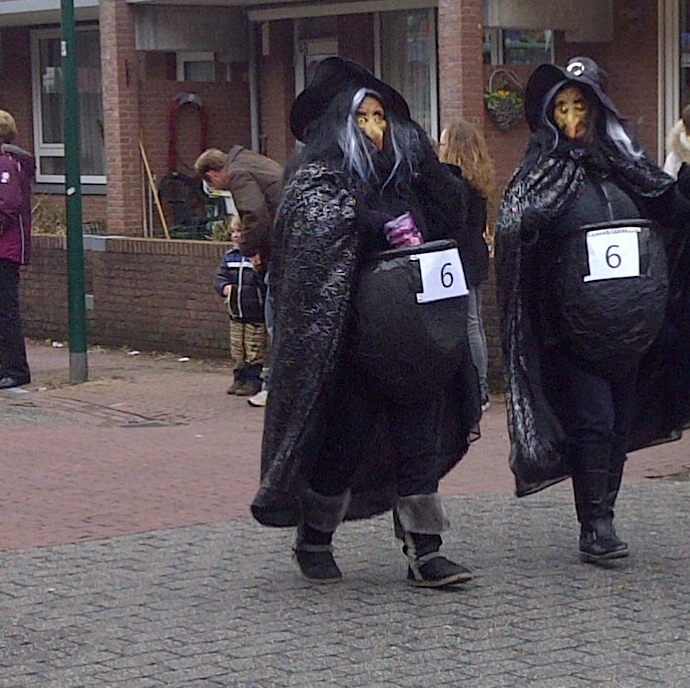 As partly Catholic country, Netherlands also celebrates the carnival time. The celebrations are mainly centered on the "south side of the river" in Noord-Brabant and Limburg. Our little village on the "wrong side of the river" is however an oddity amongst others (strongly catholic? ), and also celebrates the carnival. 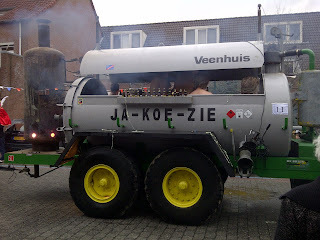 Therefore I got a chance to see the mini-carnival few weeks ago. We went to get groceries one Saturday in February, and suddenly there was a huge frog on the road. 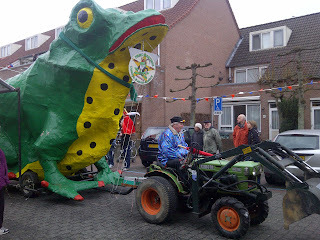 The frog was the undisputed centre-of-attention of the carnival leading the way. 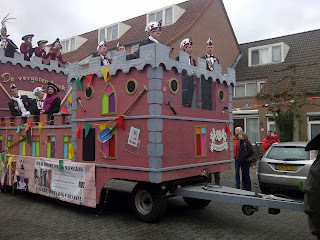 I learned, that Bunnik's name changes into "Kikkerloo" at the time of the carnival. So, for few days I lived in place that is named after a big green frog. Kind of cool. Since it is quite impossible to describe precisely the parade itself, here are few pictures to illustrate the things encountered. My all time favorite was the sauna-like jacuzzi where people kept jumping out when it became too hot. Please add also a max volume 90's disco music as a background music to the pictures, so you can really tune yourself in to the same wavelength. Do people get a day off from work when it is carnival, or is this more of a student thing? or always on weekends?